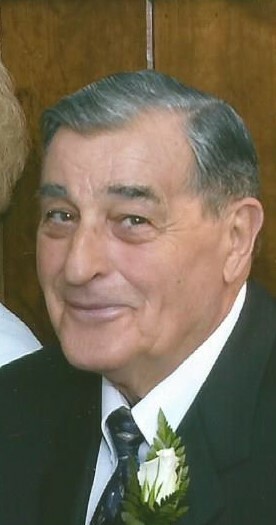 Rudolph Francis Biller, McClellandtown, Pa.
Rudolph Francis Biller, 94 of McClellandtown, Pa. passed away at home with his loving family by his side on Thursday, June 14, 2018. He was born March 18, 1924 in Mount Pleasant, Pa. the son of Rudolph Thomas Biller and Margaret Holtzer Biller. Preceding him in death were his parents; first wife, Mildred Biller; son, Gregory Biller; grandson, Joseph Victor Persely Jr. and a brother, Donald Biller. Rudy was a loving husband, wonderful father, grandfather and brother and a great person to everyone who knew him. Surviving are his wife, Connie Biller; son, Rudolph Kenneth Biller and wife Judy; son, Duane Biller and wife Linda; daughter, Diana Persely and husband Joe; three grandchildren, Kelly Sanders and husband Michael, Theresa Byers and husband A.J. and Jennifer Starcher and husband Vic; five great grandchildren, Megan Clark, Amber Hildock; Katelyn Byers, Anthony Byers and Michael Sanders Jr.; one great great granddaughter, Melina Hildock; brothers, Hank Biller and Rich Biller and several nieces and nephews. Rudolph was a US Navy Veteran serving in WW II in the Asiatic Pacific Theatre. He was a member of Faith-Gray-McArdle VFW Post 4584 in Masontown, American Legion Post 423 in Masontown and a faithful member of Saint Francis of Assisi Roman Catholic in Masontown. The family will greet friends and family in the Dean C. Whitmarsh Funeral Home, 134 West Church Street, Fairchance, Pa. on Sunday from 2 to 8 p.m. Everyone is invited to his Funeral Mass on Monday, June 18, 2018 at 11:00 a.m. at Saint Francis of Assisi Roman Catholic Church, 101 West Church Avenue, Masontown, Pa. with Rev. Fr. James Bump as Celebrant. Interment will follow in Saint Agnes Cemetery with Military Rites being accorded by Faith-Gray-McArdle VFW Post 4584 and American Legion Post 423. The Rosary will be recited on Sunday at 3:30 p.m.